Web Shop, B2B, Point of Sale, Remote Warehouses - All integrated to one. Link your purchasing, sales, shop floor production, warehouse picking/packing/shipping. 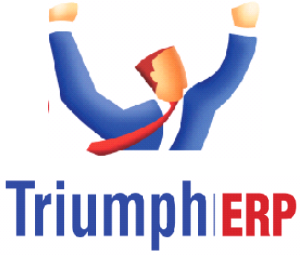 Triumph ERP - The affordable ERP system with job costing/quoting, Web Shop, PoS, Cloud or On-Site hosting. Outgrown your existing system? Wage Easy payroll is a cost effective and fully ATO compliant payroll and HR system. Remote timesheet entry and many time saving features. With more than thirty years of experience, we can provide evidence based, sound advice and recommendations. We are experienced, professional and provide support for outstanding business software products. Our focus is assisting mid-sized businesses to achieve the best from their IT and managerment systems. A bit more information, please? 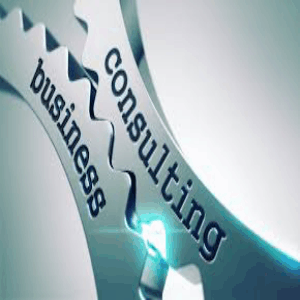 Atronics Consulting is an industry leader in implementing and supporting Business Software. Whether your business requires a simple cash book or a fully integrated enterprise resource planning (ERP) system, then expert knowledge and dependable support are essential. This is where Atronics Consulting can help you.. Established in 1983, we have more than a quarter of a century's experience, our success has largely been due to our commitment to our clients. Our principal focus is in the import, wholesale, distribution, manufacturing, and processing sectors. Our clients have previously and typically outgrown their old entry level accounting software. We offer a real and affordable alternative to MYOB, Xero and other entry level systems, providing a growth path with a long-term future. We support Jiwa Financials, Triumph Business Systems, QlikView Business Intelligence, Crystal Reports and WageEasy payroll. Our Software Development team, using the latest Microsoft development tools, builds custom applications for specific client requirements as well as tailoring standard systems to provide additional functionality. Our report writing team can add to and improve your reporting with Crystal Reports. The right advice, the right systems, the right people, right now! Proven systems for your success! We have the skills to solve your issues. Your investment will be long-term. And don't forget about our services! Teamwork is the ability to work as a group toward a common vision, even if that vision sometimes becomes a little blurry. More than a bunch of consultants and software programmers, our team (Your Team! that is..) has been working together for more than 30 years, supporting and developing unique business software products that are tailored to your specific needs. Our business philosophy has always been "be first, be better and ALWAYS provide the best possible service to our clients". When you call us for support, you will receive fast and accurate advice. We are here to help. Our customer service and support plans will give you the level of support that you need. You can choose from a simple plan to an all-embracing enterprise-wide support service; a service tailored to your needs. Whether you need help in a simple setup issue, have a mission critical problem, have a question about one of our products, or just want to make sure we really are as responsive as we claim... just call use 03 9525 0369 or 03 9024 6369 or click the button to learn more about us! We are experienced, professional and support outstanding business software products. Atronics Consulting has been installing and supporting ERP systems for more than thirty years. Jiwa Financials and Triumph ERP are two major Australian built ERP Systems, both renowned for excellence, high levels of functionality and ease of implementation and customer satisfaction. These products together with Wage Easy payroll, SAP Crystal Reports and QlikView business intelligence enable us to provide a complete and comprehensive solution for our clients, who are typically involved in importation, distribution or manufacturing. Wage Easy: You should be using WageEasy version 6.0.1.7097 which has the current tax tables. Call us, if you are not on this version. Is your system STP compliant? 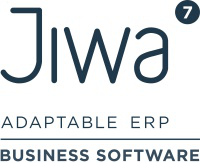 Jiwa Financials ERP Software: The current build is 7.02.00. Copyright 2017.Atronics Consulting. All Rights Reserved.